Peering over the shoulder of C. Murray Williams, behind the desk, you will notice plaques that represent well earned recognition from the Board of Realtors for all his hard work. The plaques that cover one complete wall are either Life Member of Million Dollar Club or Master Member of Million Dollar Club for his achievements in the real estate field. 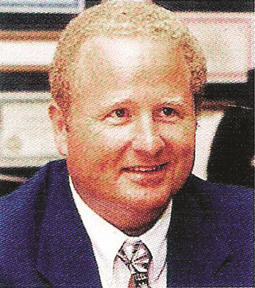 Murray Williams eagerly worked for several real estate brokers in Augusta, attended numerous real estate schools and graduated from Georgia Realtors Institute. After receiving his real estate broker’s license in 1976, three short years later he founded and opened Veterans Realty. Williams quickly recognized the need to hire quality real estate salespeople and together with his trained staff became south Richmond County’s largest real estate firm. Throughout the 1980’s and 1990’s under his umbrella, he began to develop affordable, new home subdivisions to better fill his clients’ needs. Two of his largest development credits are Sand Ridge/Sand Ridge Estates which consists of over 350 acres and more than 440 homes. Through the years, and the watchful eye of Murray Williams, he cultivated another art to perfection – the art of building a quality home. Whatever hat you may catch Murray Williams wearing: the real estate broker, the developer, or the builder, you will read professionalism across the top. Williams states it best, “I take pride and strive to stay at the top of my profession. I have the desire to be the best there is.” And it shows!